Get back to your projects sooner with our simplified time and expense management capabilities. Now you can spend less time entering information, and more time doing what you love. 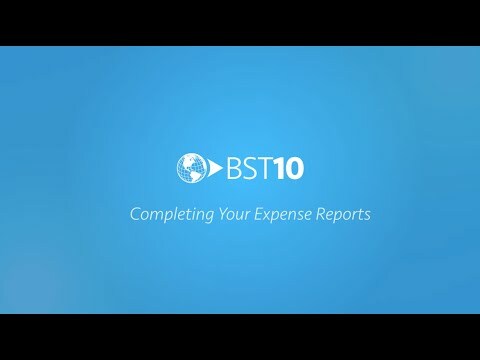 With BST10 Work Management, you have the tools you need to stay current on your assignments, log time and expenses, and track your progress towards performance goals. Spend less time on timesheets. Say goodbye to manual timesheet entry processes. With BST10 Work Management, your timesheet is automatically updated with your project assignments. All that’s left for you to do is enter the hours you worked and submit – simple, as it should be. Time tracking that moves with you. Whether you’re on-the-go, or just prefer the simplicity of a mobile interface, the BST10 Mobile app allows you to quickly and easily record time from your mobile device. And because BST10 Mobile is fully integrated with your desktop solution, you can easily create a timesheet on your computer, and then edit and submit it from your mobile device. As a manager in a design consultancy, you’ve got a pretty lengthy to-do list. Let us help you quickly check off one of those tasks – timesheet approval. With BST10 Mobile, supervisors can easily review and approve timesheets directly from their mobile device. Don’t let those expense reports pile up. With BST10 Work Management, you can manage your business expenses with ease. Whether you’re in Singapore, Toronto, or somewhere in between, our solution allows you to submit business expenses in multiple currencies (without those tricky manual conversions), and then be reimbursed in your preferred currency.